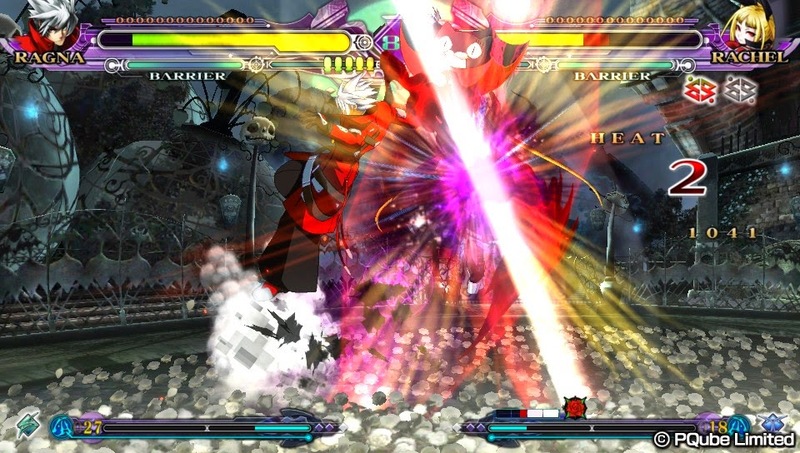 Blazblue: Continuum Shift Extend may be two years old and have a sequel, but there's nothing dated about this 'everything but the kitchen sink' fighting game by Arc System Works. For both fighting game masters and casual fighter fans, Continuum Shift Extend packs not only a brilliant and complicated fighting game into a little cartridge, it manages to also introduce a killer, console sized story for on-the-go gamers. The best way I can sum up my experience with Blazblue: Continuum Shift Extend? I came for the slick fighting game and stayed for the intricate story. For those new to Blazblue and Arc System Works fighting games, Blazblue is a 2D anime fighter that stays true to the 'easy to play, difficult to master' arcade terminology that you might have heard of. 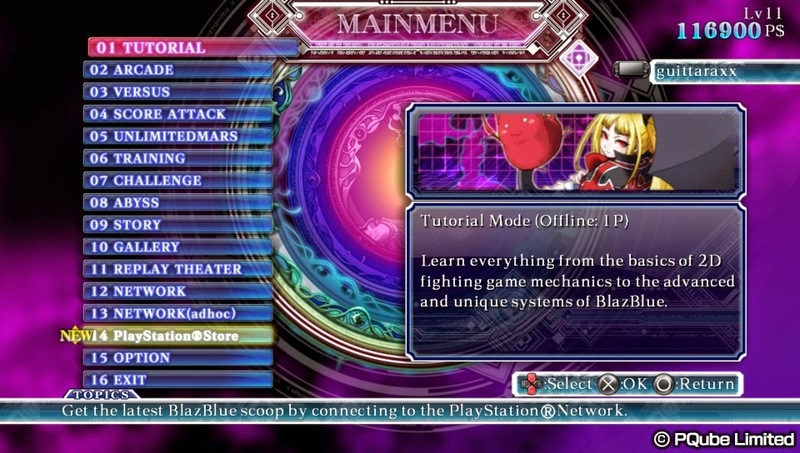 If you enjoy fighting games just for fun and aren't interested in combos, you'll enjoy Blazblue, particularly in Stylish Mode which allows your to perform powerful combos by holding down a single button. Fans of the technicality will be beyond pleased by the variety of characters and the variety of combos available. 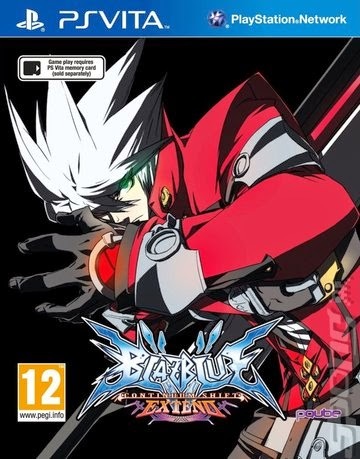 The diverse roster of characters gives something to everyone who plays Blazblue - for example, characters like Hakuman, Platinum the Trinity and Ragna the Bloodedge all provide completely different ways to play and different combos and finishing moves to master. All characters have different weapons and even species types help give all the characters a vastly unique style. My favourite character in the game's story was Makoto and her fast, fist based style was cool but I was much more inclined to play as Noel because using her guns were a lot more fun. I like that this is how I felt inclined to play, as most other fighting games I just end up playing as my favourite character. Personally, my only problem with playing this stellar fighting game was my beloved PS Vita. The controls of the Vita are significantly smaller than a PS3 controller and I just couldn't use the D-Pad or the Analog stick efficiently and precisely enough to do some of the harder combos and even something simple like getting my character to 'dash' to the other side of the screen was hard. I'd like to give my Vita the benefit of the doubt as I never have been (and probably never will be) a remarkably skilled fighting game player however from doing a little Google search, I found that there are other players with this issue. The game was originally a PS3 game, so after my good experience with Continuum Shift Extend on Vita, it does make me wonder if I could have a great experience playing it on PS3 instead. If Blazblue's fighting game mechanics weren't deep enough, prepare for a long, intricate story, complete with anime cutscenes and lots of dialogue. There are 18 character stories, true ending, bonus content and the prequel Blazblue Calamity Trigger's story remastered. It is a huge story to get through, especially if you're looking to unlock the true ending. I spent many train rides trying to do this and discovering all the heroic and colourful characters of the Blazblue universe. Each character's story is told from their point of view so a serious story such as Jin Kisaragi's will constrast heavily with Taokaka's more humourous approach based purely on their personality. Each individual story provides plot choices for the player much and in the game's brilliance, will provide different endings dependent on this including hilarious gag reels and bad endings. It reminded me of a visual novel, but with fights. The length of each characters story was usually around half an hour to an hour in length, which I think is rather admirable when compared to other fighting games. For players new to the Blazblue series, I highly recommend taking advantage of the included remastered Calamity Trigger story. It really helped fill in some of the gaps in the new story of Continuum Shift and various characters' individual stories. For those who have already played Calamity Trigger, you can look forward to a remastered version of the story you remember. On the topic of story mode, Continuum Shift Extend's soundtrack really packs a punch and heightens epic scenes with it's combination of heavy rock and atmospheric music. What I didn't appreciate from the game's sound was it's tendency to turn up the music to double the volume (and consequently turn down the voiced dialogue) whenever I unlocked my Vita or while doing something simple like viewing the time on my Vita and then re-entering the game's app. The music would only put itself back to a normal volume (and turn the dialogue up to a normal sound level again) at the next 'looping' of whichever song was featured in the scene. This isn't a huge game-breaking issue and doesn't effect the overall feeling of positivity I have for the game, but it's a two year old game. I don't understand why a patch hasn't been released for this as I'm not the only one with this problem. See this screenshot I took? The volume turned up after. 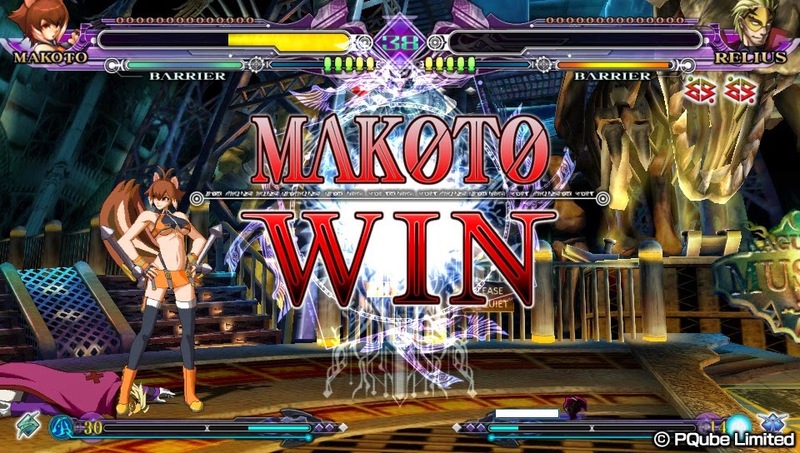 Along with story mode and arcade mode, Blazblue also features some unique fighting gameplay modes of it's own. Along with your typical versus, score game and network features, it features Unlimited Mars, Challenge and Abyss. Unlimited Mars is a mode where you fight characters that are controlled from a ridiculously hard A.I. that is a challenge for players of all skill levels (I had no success playing that mode). Challenge is basically a training mini game that challenges you to perform various combo sequences. Abyss was my favourite of Blazblue's unique fighting modes: You progress through difficulty levels and have the option of using your in game points to buy special attacks and stat boosts for whichever character you choose. It also doesn't fully heal you every battle, so you have to think about how you'll use your points - whether you'll need them on healing or can afford the luxury of a stat boost to get you through some of the harder levels. While I do think I would have a better experience on the home console edition, Blazblue: Continuum Shift Extend fits a mammoth experience onto the PS Vita that would be worthwhile to any fighting game fan on the go. If you like fun characters, an epic story and a solid and fun fighting game, your PS Vita needs Blazblue: Continuum Shift Extend. Played on and off over the last year and properly dedicated myself to it's story mode for a month. Blazblue: Continuum Shift Extend is available now at Play-Asia.com. Please note: I have not played the other Blazblue titles such as Calamity Trigger or the more recent Chrono Phantasma, but my playthrough of Continuum Shift was enjoyable enough to make me want to. If playing Calamity Trigger ever alters my opinion on Continuum Shift, I will update this review.